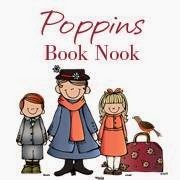 I was really excited about this month's Poppin's Book Nook theme of "To the Laboratory" because we all know how much I love science! Surprisingly though, I did not select a super science-y book. 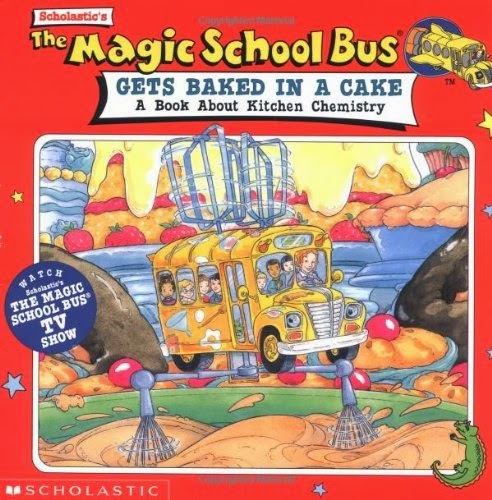 Instead my kids picked up The Magic School Bus Gets Bakes in a Cake at the library, and I knew if we didn't use it for our "To the Kitchen" theme, it would be perfect for our "To the Laboratory" theme; after all the kitchens a laboratory we all have access to! 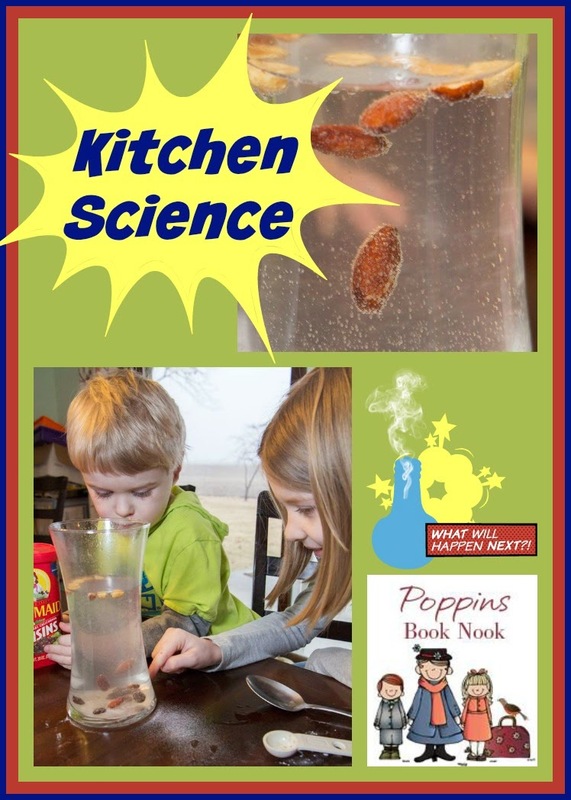 Obviously the book goes through some of the science of baking a cake, but it also touches on the most well known kitchen science experiment....vinegar and baking soda! 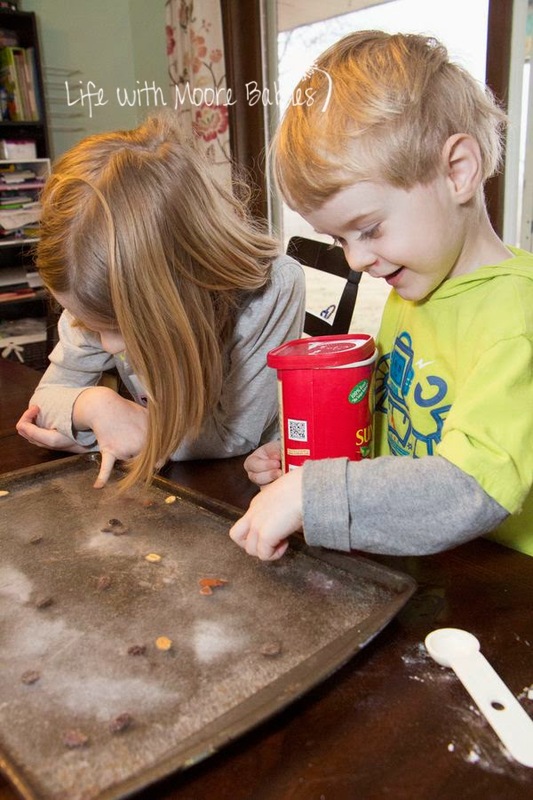 I know my kids love making vinegar and baking soda eruptions (honestly, I do too). The back of the book including another fun baking soda/ vinegar experiment that we decided to try. 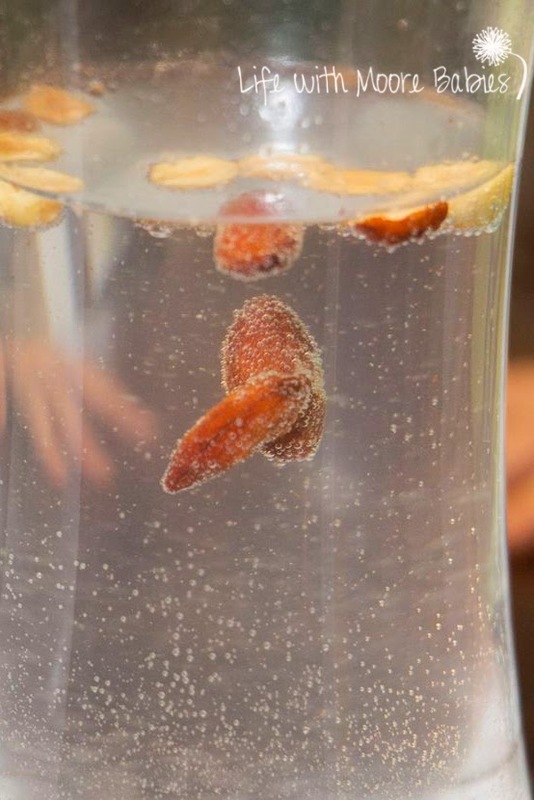 To start with you need a container of water with 3 teaspoons vinegar and 2 teaspoons of baking soda added. Then you add some salted peanuts and observe what happens. Well let me tell you when we tried it not much happened. Our poor peanuts just flipped around on the top on the water rather then bobbing up and down like they were supposed to. I decided they were just too light and threw in some almonds along with more baking soda and vinegar (no measuring here; just poured some in). The almonds worked great! 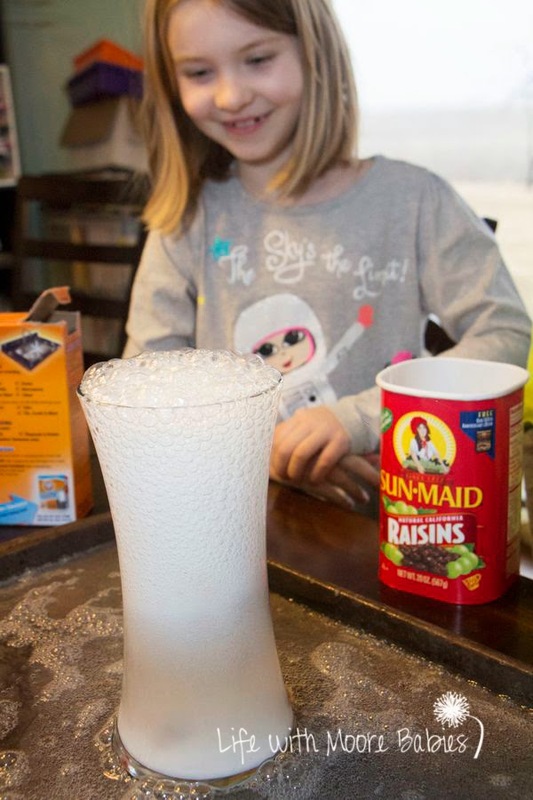 heavy enough to sink yet light enough to be lifted by the bubbles created from the vinegar/ baking soda reaction! 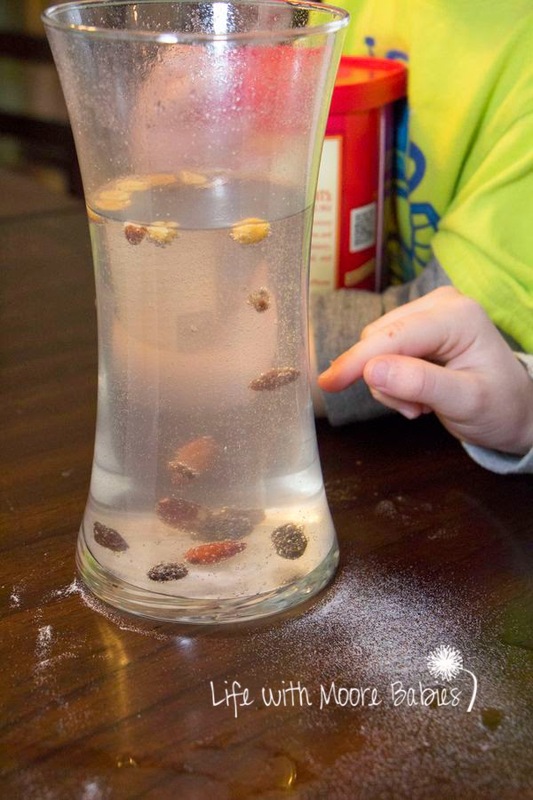 My kids were having such a good time with it we threw some raisins in too just to compare! Of course they kept adding more baking soda and vinegar as well. In fact they wanted to keep adding baking soda and vinegar until we overflowed our container (definitely my kids). We grabbed a pan to hold some of the mess and then created the classic vinegar/ baking soda eruption! Which also turned out to be fun to play in! 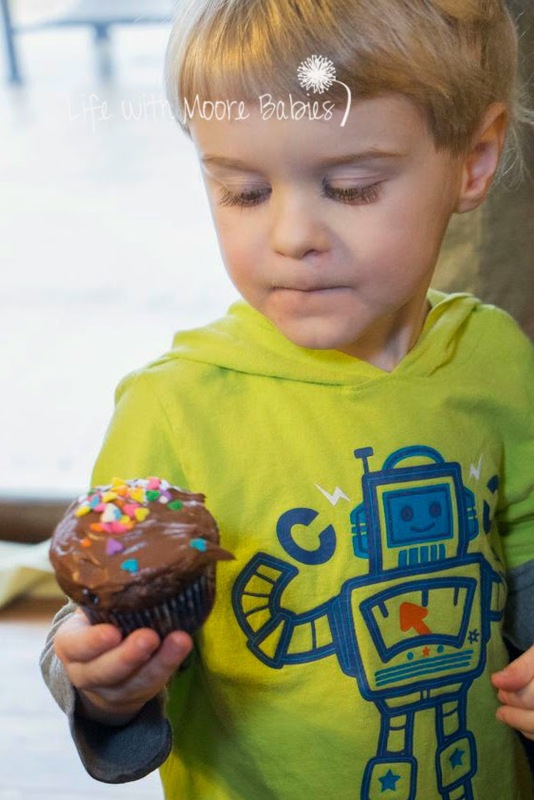 Of course the subject of the book was baking a cake, so we made some cupcakes as well! 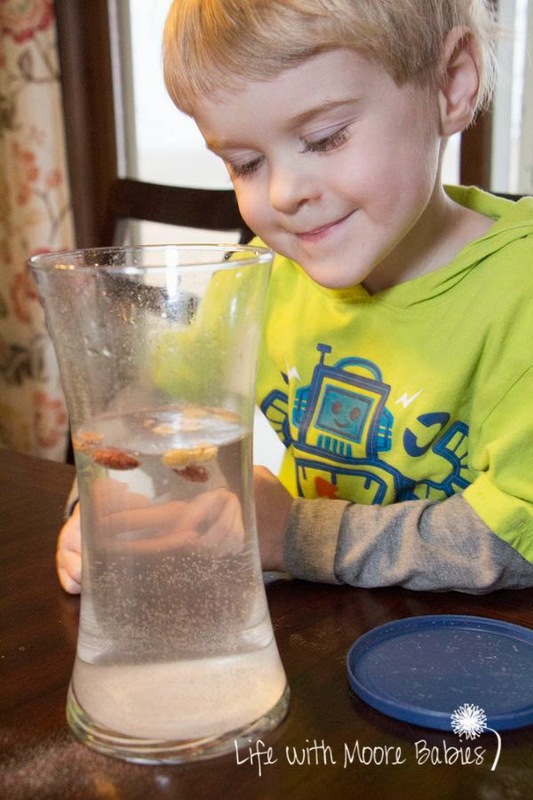 More Fun Kitchen Science Experiments! 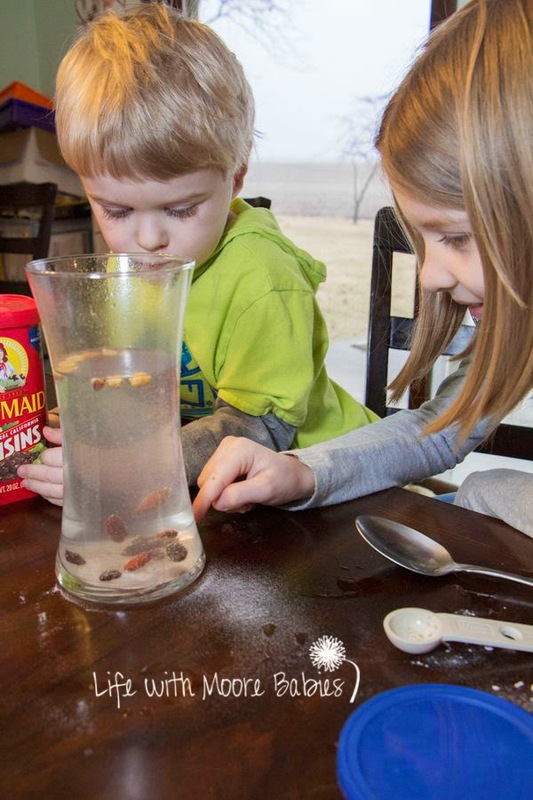 More Simple Science Experiments of all types! 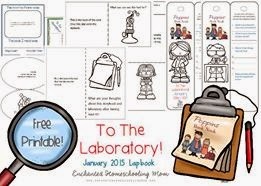 Don't forget to stop by Enchanted Homeschooling Mom to grab the free To the Laboratory Lapbook! 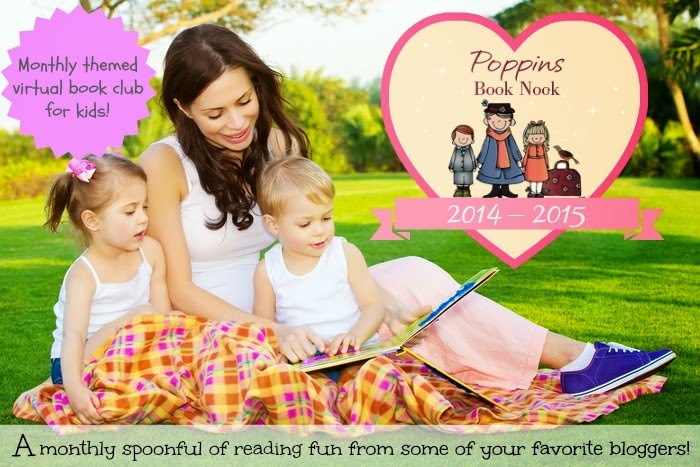 Be sure to join us again next month as Poppin's Book Nook explores Poetry!